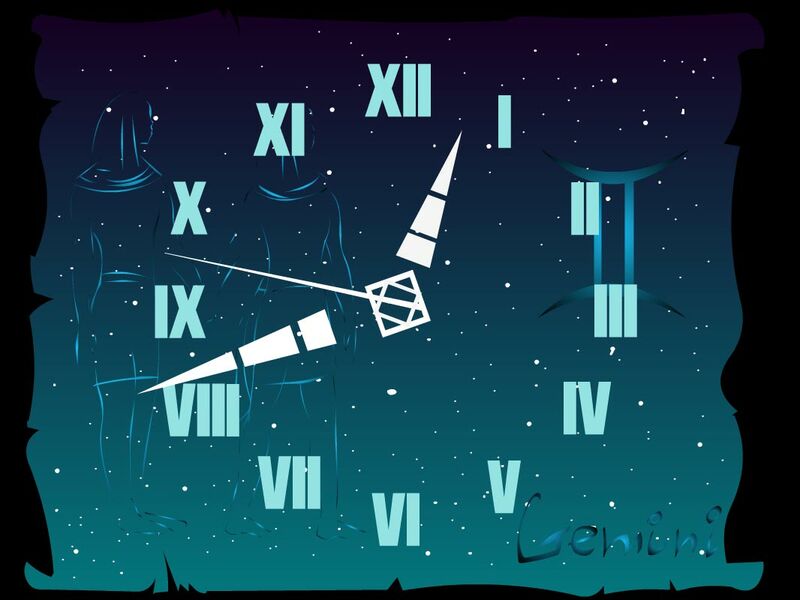 7art Gemini Zodiac Clock screensaver: magical clock talisman for Gemini zodiac sign. Gemini Zodiac Clock is a magic talisman for whose of us born from May 21 to June 21. It brings luck and happiness and it's a nice free desktop clock screensaver as well. This person is usually successful in affairs demanding the high level of intelligence. 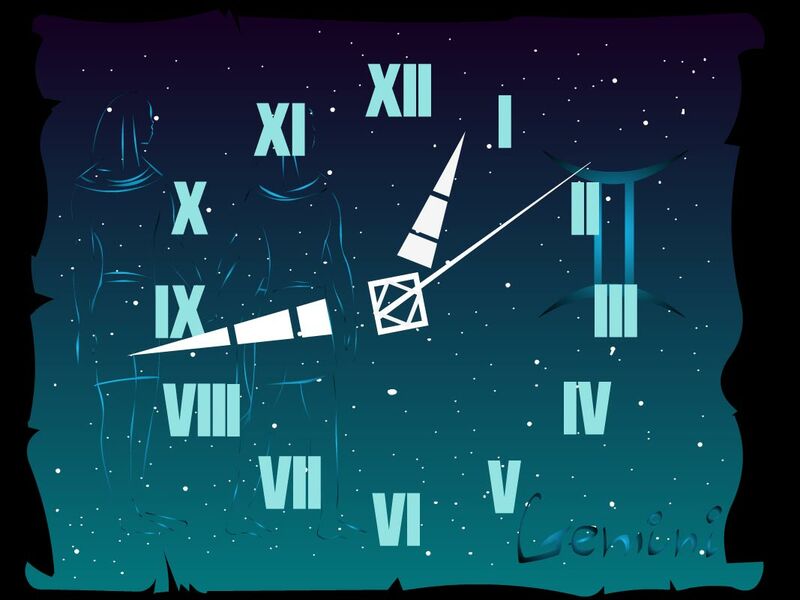 Gemini is usually a very communicative person and it helps him to overcome difficulties.